To your left, lumbering Giants smash into hordes of skeleton warriors. To your right, Knights cut through lines of Goblins with their lances. Behind you atop your castle walls, Dwarf Riflemen unleash a salvo of musket fire into the incoming Orcs. The enemy has only one intent: to destroy your castle, and you, hero, are its only hope! 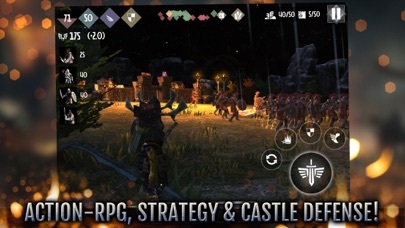 -----FEATURES----- CASTLE DEFENSE, STRATEGY, AND ACTION-RPG GAMEPLAY! 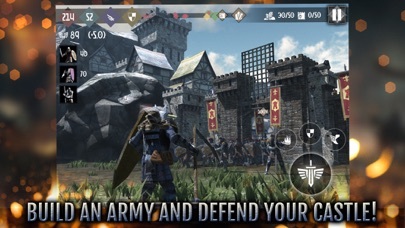 Take to the battlefield in an immersive 3rd person perspective, summon entire armies to fight beside you, and defend your castle to the death! 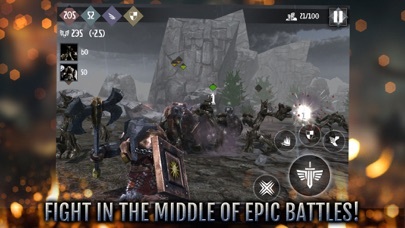 Fight in the middle of a huge battle that you control! CUSTOMIZE YOUR HEROES! Choose one of three races, level up, learn new skills and abilities across 9 classes, forge weapons, armor, and shields, and destroy your enemies! 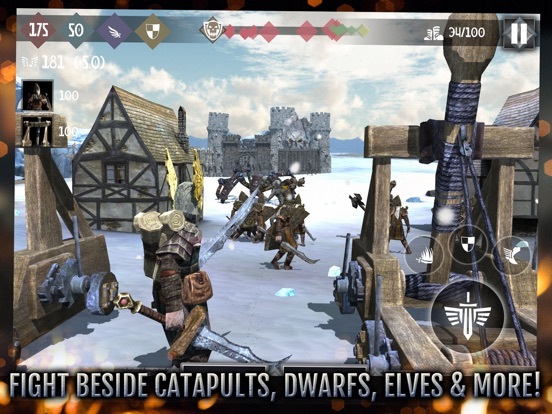 SUMMON HUGE ARMIES TO FIGHT BESIDE YOU! 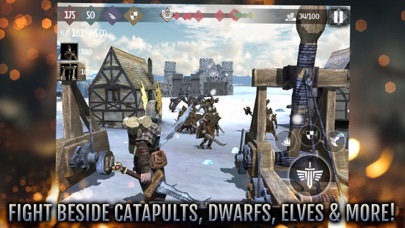 Summon Dwarfs, Elves, Archers, Pikemen, Giants, Knights, Catapults, Mages and much more to aid you in your defense. 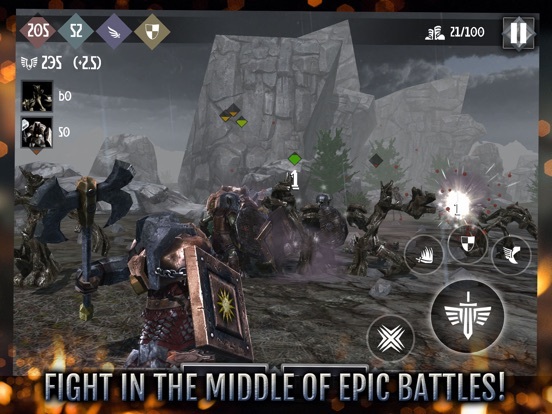 Watch them battle the enemy right beside you in massive, epic battles! BUILD AND UPGRADE YOUR CASTLE! Build Towers, upgrade your castle walls, and defend! Conquer new lands and build outposts to secure them. EPIC SINGLE PLAYER CAMPAIGN! Defend your castle through 30 waves, all while taking control of an enormous map by capturing and defending new outposts. Ultimately lay waste to the enemy castle in a final, glorious siege battle! COOPERATIVE MULTIPLAYER! Team up with a random ally or one of your friends and compete in the GameCenter leader boards! PVP COMPETITIVE MULTIPLAYER! 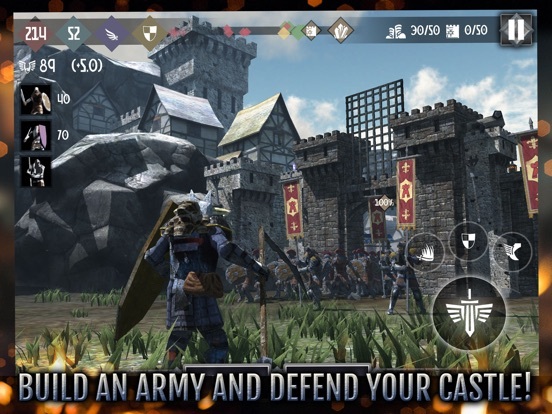 Battle against other players - defend your castle and destroy theirs! TONS OF ENEMIES TO BATTLE! Fight against dozens of enemies on screen at once, from hordes of the Undead, to Orcs, Goblins, Ghouls, Spiders, Trolls, Catapults, Mummies, and more! ADVANCED GRAPHICS AND TONS OF FEATURES! 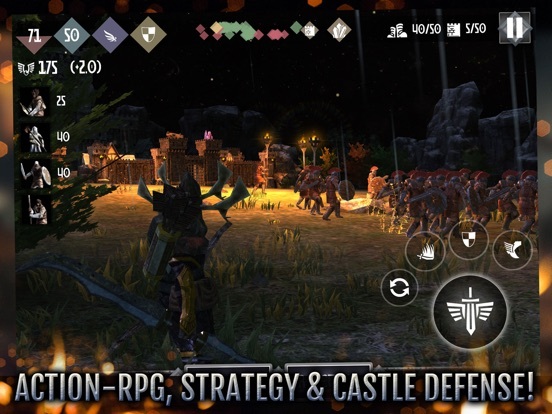 Incredible mobile graphics and lighting, fight with dozens of units on screen at once, hi-resolution assets for top of the line devices, iCloud saving, MiFi controller support, and more! 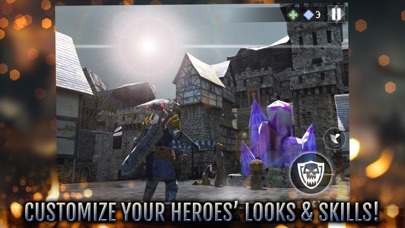 ---------- Search for Heroes & Castles 2 on Youtube for awesome gameplay footage! 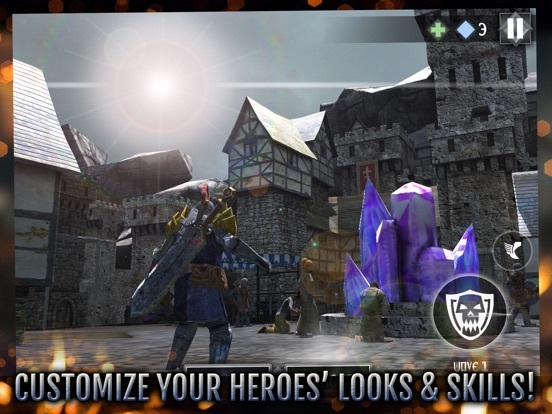 Follow us on Twitter @FoursakenMedia or like us on Facebook for more Heroes & Castles 2 news! First in before "instabuy" storm! Finally, it is here. I really don't know how much hours I've put in the first. Great game. I hope this is even better. I think I've heard of this game. Was the first one any good? The 2 year draught of mediocre iOS games finally ends. Yes, a really great game! So looking forward to midnight with this! Super Earth - Our Home. I take it that's running on an iPad 2? Exactly what I thought. Elsa - the last 2 years were fantastic in terms of iOS gaming. I can name at least 20-30 excellent games instantly. Sure there were decent games released and some good ports. But nothing exceptional. My list of top 8 has been unchanged since January 2013 (release of H&C). This is a very subjective opinion, so there's really no point arguing about it. Can't wait to get my hands on this, hopefully I'll have some free time this weekend. Will it be out also in Us today?? Action and Strategy. This game takes a blowtorch, welds those two elements perfectly together and out comes a beautiful unicorn. A unicorn that takes a broadsword and stabs your free time repeatedly. Couldn't have said it better myself. Truly awesome game. Can anyone confirm if the beta save file will work with the game?? This game isn't focused on the story. It provides some minimal plot to set up the world. You'll be perfectly fine just going into H&C2. It's one of the most replay-able games of all time. The singleplayer allows for tens of hours of gameplay, not to even mention the vs and the co-op modes. I don't think you'll get bored anytime soon.